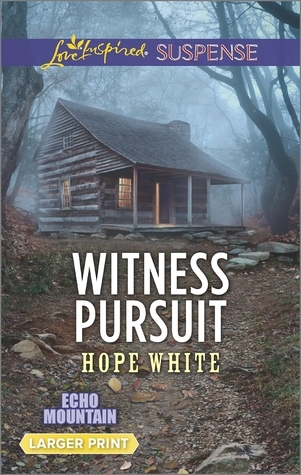 From Goodreads.com: When Cassie McBride discovers a dead body in a rental cabin, she quickly becomes the killer's next target. Now the upbeat, chatty property manager is under the personal protection of police chief Nate Walsh—the living embodiment of the strong, silent type. Nate's tragic past has taught him that a cop falling for a pretty witness can lead to disaster. Dogged at every turn by the murderer, Nate must stay focused and not let his growing feelings for Cassie interfere with his duty. If there's any hope for Cassie—or a future for them—it's going to take all Nate's skill to not only keep her safe…but to keep her alive. This was one of those stories that no matter how hard I tried I just could not get 100% invested in. For starters - I find it hard to believe that anyone can have that much bad luck in one day (I can't go into too much detail without giving too much away). Then the way the bad guys just kept managing to find her no matter what precautions were taken - it was just too unbelievable - even for me. I also had an issue with some pretty obvious plot developments that apparently all the characters were able to overlook. On the plus side, it is a relatively short read (I read it in one day) - and it was a decent way to spend a rainy day.